When studying American presidents, there are typical names that crop up as the best of the best of our public servants. George Washington, Thomas Jefferson, Abraham Lincoln, are all commonly used, but out of our more recent presidents, John F. Kennedy is often thought of as an inspiration for Americans in our day to day lives. More than fifty years after his tragic assassination, Kennedy remains as one of the most admired figures in American history. As part of a nationwide celebration of the centennial of his birth year in 2017, the local Marshall Fredericks Sculpture Museum at Saginaw State Valley University is hosting the travelling “American Visionary: John F. Kennedy’s Life and Times” exhibit until Jun. 29. The exhibition is presented with the eager cooperation of the John F. Kennedy Presidential Library Foundation and has already traveled across the country, including to the Smithsonian American Art Museum, the New York Historical Society, and the Abraham Lincoln Presidential Library and Museum. 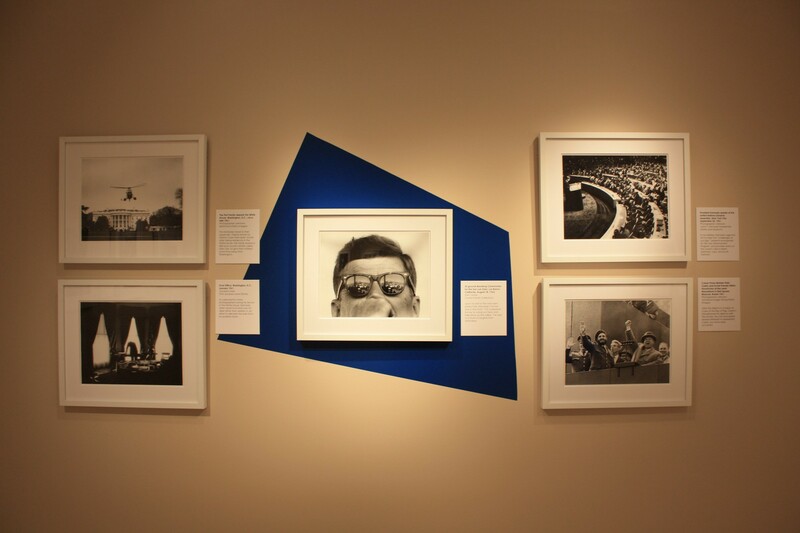 The Marshall Fredericks museum is the exhibit’s current and only stop in the entire state of Michigan, and so far visitors have soaked up the photography. McAdow found that Kennedy’s relatability was the most important part of the exhibit, and felt that his approach towards the press at the time allowed this to shine. That detail may seem insignificant, but it’s what makes the exhibit truly unique. From him laughing with friends, to Kennedy simply playing with his newborn daughter in a crib, the variety of photographs tell a story better than most documentaries ever can. Kennedy didn’t just spend all his time being relatable to the common people. His time in office is often looked back on as inspiring by older Americans. It was a time in American history where the country and individuals pushed boundaries, and Kennedy is often seen as an architect of that. McAdow highlighted that all across America, young people especially are getting involved to make political change, and that Kennedy’s message resonates now more than ever. Whether it be environmental activists fighting for clean energy, students getting involved in the politics of gun control, or any number of examples concerning political activism. For those interested in seeing the exhibit, the Marshall Fredericks museum requires no admission fees and free visitor parking once cars are registered at the front desk. “American Visionary: John F. Kennedy’s Life and Times” Brings Kennedy’s life front and center through the camera lens and offers a special look back into the past for all that wish to see.